In attempting to compile a local history, one must consider all the sources available. First of all, there is the visual evidence in land and buildings, but in this age of rapid development, many old buildings have been demolished. Where to turn next for evidence? Fortunately County Records Offices and Private Archives have a wealth of material, some of which may well tell us a great deal about buildings which have long gone. If we are very lucky, we may even find pictorial evidence. Sometimes, if we are even luckier, ancient buildings may still stand and we can then take photographs as evidence. Then there is the land itself. Some sites do not change much - even over hundreds of years - water-mills, for instance. Water-mills played a very important part in the past and it was often around such mills that small communities grew up. Field names may still exist where farms have survived and reference to maps and other documentation can tell us a great deal about the land - who used to own it and how it was farmed. But perhaps, particularly, we may find oral evidence and this should not be despised. 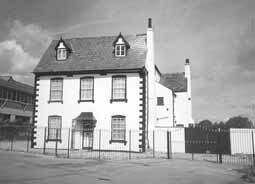 Our grandparents and perhaps great grandparents can often tell us a lot about the place where they lived and worked and old family photographs not only show us what our ancestors were like, but may will contain pictures of old buildings which are now no more. 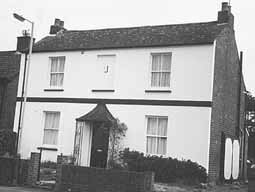 In compiling this history of Alstone, all the above sources have been referred to and whilst there is a wealth of material to be consulted, nevertheless, it has proved difficult to obtain pictorial evidence of some of the old buildings which have been demolished: Alstone Manor House, for instance, Sandfield House and Villa - once home of the Cook family: the old Christ Church Junior School which stood on the corner of Rowanfield Road and Alstone Lane. But fortunately, some old buildings have survived and people are now more conscious of preserving history. Fortunately today, many local historians are gathering together as much pictorial and written evidence they can, of our heritage and people are much more likely to protest now, if they see that an ancient building is likely to be demolished. It is worth considering what could have happened if Cheltenham's Spa waters had not been a success. The town would not have grown, so the railway might have by-passed it and Alstone might have remained as a village. Where is Alstone? Think first of that stretch of Gloucester Road between Tesco and Arle Court, near the Golden Valley by-pass, and then of the area from Brooklyn Road to Bayshill Road, and you will then have some idea of the vast area which Alstone covers. It encompasses a wide variety of architecture - some old - some new; some good - some bad, and former residents ranged from the nobility in Bayshill, to the humble labourer in Alstone Lane, and whilst every conceivable facility can be found in and around Alstone, the only thing lacking is any kind of Community Centre, or even a sense of identity. Indeed many residents of Alstone today do not know of its existence. We hope this 'History' will help them discover their heritage.